The unique, unrepeatable nature of music made in the present moment is central to understanding the expressive beauty and compelling honesty of Grigory Sokolov’s art. The Russian pianist’s poetic interpretations, which come to life with mystical intensity in performance, arise from profound knowledge of the works in his vast repertoire. His recital programmes span everything from transcriptions of medieval sacred polyphony and keyboard works by Byrd, Couperin, Rameau, Froberger to the music of Bach, Beethoven, Schubert, Schumann, Chopin, Brahms and landmark twentieth-century compositions by Prokofiev, Ravel, Scriabin, Rachmaninoff, Schoenberg and Stravinsky. He is widely recognized among pianophiles as one of today’s greatest pianists, an artist universally admired for his visionary insight, spellbinding spontaneity and uncompromising devotion to music. Grigory Sokolov was born in Leningrad (now St Petersburg) on 18 April 1950. He started to play piano at the age of five and, two years later, began studies with Liya Zelikhman at the Central Special School of the Leningrad Conservatory. He went on to receive lessons from Moisey Khalfin at the Leningrad Conservatory, and gave his debut recital in Leningrad in 1962. Sokolov’s prodigious talent was recognized in 1966 when at 16, he became the youngest musician ever to receive the Gold Medal at the International Tchaikovsky Piano Competition in Moscow. Emil Gilels, chairman of the Tchaikovsky Competition jury, subsequently championed Sokolov’s work. While Grigory Sokolov undertook major concert tours to the United States and Japan in the 1970s, his artistry evolved and matured away from the international spotlight. His live recordings from Soviet times acquired near-mythical status in the West, evidence of an artist at once entirely individual, like no other, yet nourished by the rich soil of the Russian tradition of piano playing. Following the collapse of the Soviet Union, Sokolov began to appear at Europe’s leading concert halls and festivals. He performed extensively as concerto soloist with orchestras of the highest calibre, working with among others the New York Philharmonic, the Royal Concertgebouw Orchestra Amsterdam, the Philharmonia London, the Symphonieorchester des Bayerischen Rundfunks and the Munich Philharmonic, before deciding to focus exclusively on giving solo recitals. Sokolov performs around 70 concerts each season, immersing himself fully in a single programme and touring extensively throughout Europe. 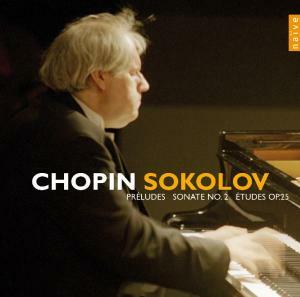 Unlike many pianists, Sokolov takes the closest interest in the mechanism and set-up of the instruments he plays. He spends hours exploring their physical characteristics, consulting and collaborating with piano technicians to achieve his ideal requirements. “You need hours to understand the piano, because each one has its own personality and we play together,” he explains. The partnership between artist and instrument is critically important to the flow of Sokolov’s musical ideas. Sparing in his use of the sustaining pedal, he conjures everything from the subtlest tonal and textural gradations to the boldest contrasts of sound through the sheer brilliance of his finger-work. Critics regularly draw attention to his uncanny ability to articulate individual voices within a complex polyphonic texture and project seamless melodic lines. Grigory Sokolov’s charismatic artistry holds the power to cultivate the concentration necessary for audiences to contemplate even the most familiar compositions from fresh perspectives. In recital he draws listeners into a close relationship with the music, transcending matters of surface display and showmanship to reveal deeper spiritual meaning. Sokolov’s art rests on the rock-solid foundations of his unique personality and individual vision. 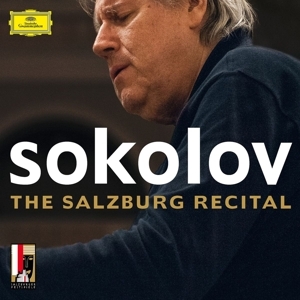 Deutsche Grammophon has recently released Sokolov’s first new album for almost twenty years, a sensational recital recorded live at the 2008 Salzburg Festival.